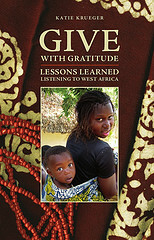 The uplifting true story of a young woman and her transformational journey into another culture. When 24-year-old Katie Krueger set out from Wisconsin for Senegal, West Africa, on a Rotary Foundation Ambassadorial Scholarship, she was looking for adventure and an education. 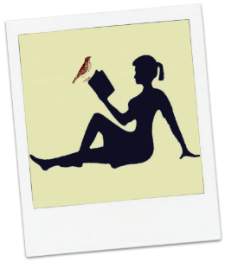 She had no idea what a profoundly new world she was entering and how completely her life and belief system would be overturned. Funny, tender, and illuminating, her memoir paints an unforgettable picture of the amazing highs and harrowing lows, bitter homesickness and soaring triumph she experiences as she learns to be at home in a whole new culture. She reminds us how big dreams and a desire to give back can change the world. 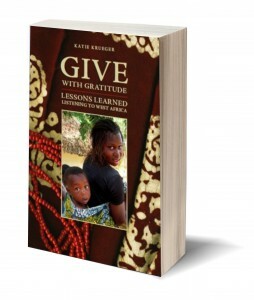 Katie brings us along on her life-changing journey, which she tells in a series of stories and lessons learned by listening to West Africa – and her own heart. Despite threat-assessment levels and airport-security hassles,women of all generations are traveling more freely and independently than ever before. In that go-for-it spirit, Go Your Own Way spans the globe. The writers in Go Your Own Way pay tribute to the empowerment of independent adventure and discovery, offering up the perfect antidote for today’s climate of fear and international discord. All the while, they show that alone doesn’t have to mean lonely.